I use Hatchbox ABS, pinted at 50-70% infill at 143c and HB at 95c. I don't get much wrping or lifting. just the three main parts, not the accessories. I need 3 parts remade, the three x-axis ones. The top one that goes side to side with the heater and the two on the side that go up and down. keeps binding on me because of what aI used., I have them circled in red. and I would need them in purple. 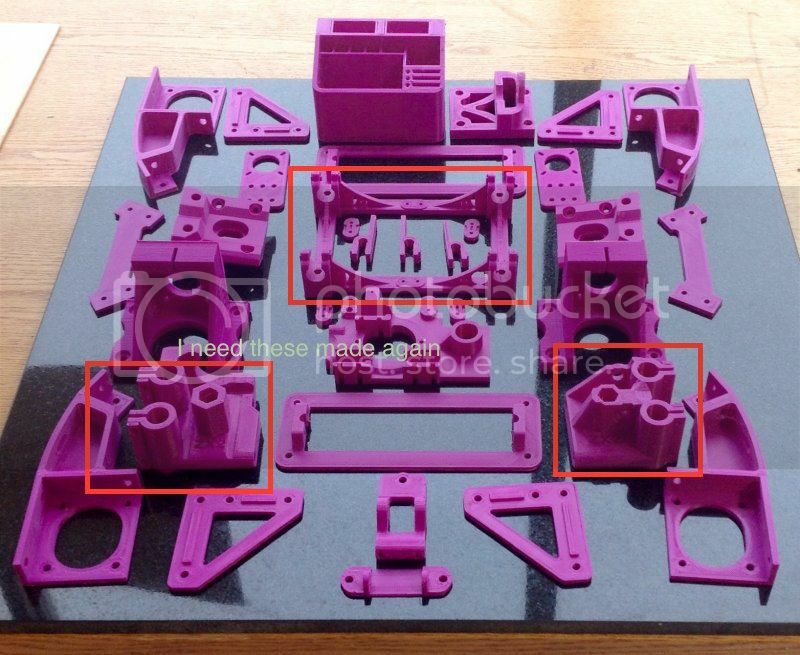 How much would you charge to print me all of the parts needed like your last two builds? Or if you know where I can get a complete set, I would appreciate it. I tried to find an email but I don't think you have one posted.